Granitic pegmatite in leucomonzogranite. Pit was dug around 1903-1906. It has been filled in for many years. Large smoky and white quartz crystals to 27x10 inches were found, along with a large number of other minerals, including a few rare ones. 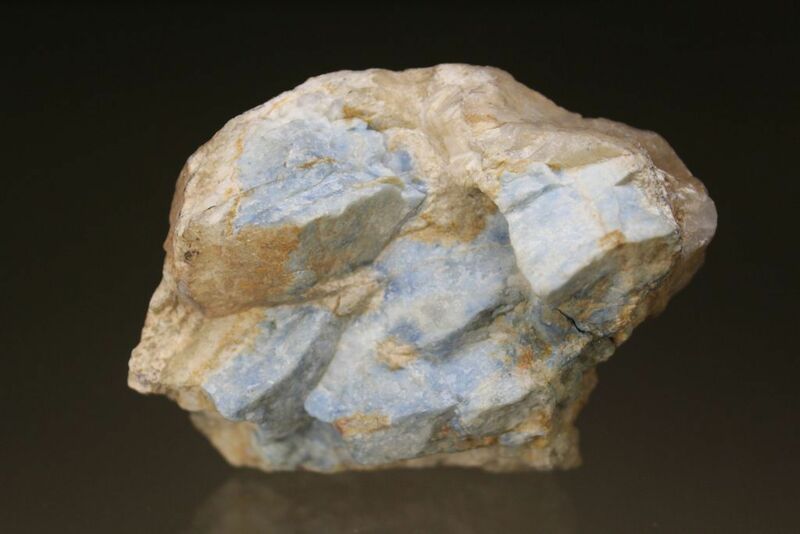 This locality was the first in Canada to report amblygonite, however a chemical analysis by Walker and Parsons (1924) shows that the material is "unusually low in fluorine and very high in water" and there is "an unusual replacement of fluorine by hydroxyl". This is supported by MinDat comments regarding amblygonite and montebrasite (i.e. nearly all reported amblyonite from granites is actually montebrasite). Thus the mineral is actually montebrasite and the mineral list now reflects that. 22 valid minerals. 2 erroneous literature entries. Faribault, E.R. (1908) Lunenburg County, Nova Scotia. Summ. Rep. Geol. Surv. Dep. Canada for 1907, pp. 80-82. Walker, T.L., Parsons, A.L. (1924) Pegmatite Minerals from New Ross, Nova Scotia. University of Toronto, Geol. Series: 17: 46-50.
http://novascotia.ca/natr/meb/pdf/82pap02.asp - G.A. O'Reilly, E.J. Farley, and M.H. Charest, "Metasomatic-Hydrothermal Mineral Deposits of the New Ross-Mahone Bay Area, Nova Scotia", N.S. Dept. of Mines and Energy, paper 82-2, 1982.